#MothersLove #MothersDay #Brexit Cherish the Uniqueness of Life’s Moments……………….. The essence of life is essentially evolving in precise accordance “wit”h the evolutionary heartbeat of our ab’soul’ute insightful awareness’s ever fulfilling meritoriousness………………..Durge Devi Namostute, Shiva Shakti bhava, Hari Om Tat Sat, God bless. Some People Never Learn…..They Yet State, Come i Will Show You God? 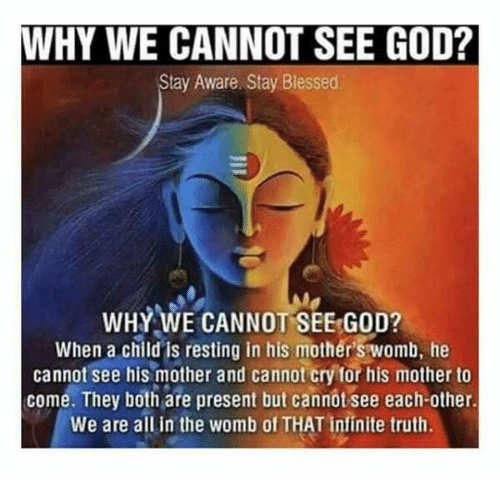 God Cannot be Seen for God is Shone As His Supreme Divine Essence Sow-Ray-Beam-eth-er………..Let Them Show Themselves to God First, For They’re Elusively Hiding Beneath the Cloak of Their Narrow Minded Blasphemous Ignorance! Cherish the sacred essence of your pure divine nature’s awareness consciousness………Durge Devi Namostute, Shiva Shakti bhava, Hari Om Tat Sat, God bless. It’s essentially about never being/living illusively/ignorantly………the point is don’t walk into a false trap and neither rap into a false talk. One never knows where and when-whether its others or our own elusive mindset that is misreading/misleading, which is why do not get over obsessive about something and then just sign away/subscribe and commit in such a manner that it is jeopardizing your core interests and so very much more in a matter of few seconds that might have take a lifetime to preserve. It’s about being as practical/realistic…….. and whatever you might call it far more sensible, shrewd, vigilant, clever, diligent………it does not matter what ever name you call it, what is extermely important is the preventive-proactive approach-and not the deliberate reclusive and negligent careless of just waking up each time after spilling the milk. For if we are gullible/suckers(no pun or offense intended in usage of the slang abbreviation please since here its a matter of vitally safeguarding one another’s absolutely best interests and not any aimless hype/jargon whatsoever)….put it in anyway, still is ultimately your input/your absolute consent and permissibility that life is calling upon to secure your firm approval, whether yes or no….. and then when you even perhaps have that obvious nudge in the maybe mode-which gets interpreted and taken undue advantage of in the ways as opt-we-yes? But whooo… whao….. who told yes? no one right, but there are some who take advantage of your indecisiveness and just go ahead interpreting your indecisiveness or contemplating or expression on your face as consent-even the hmmmmmmm muttering can be misread and take far too unfairly excessive advantage of, which is why NO means KNOW what is being rejected and ensure that it is recorded and records maintained if necessary-but being ever equipoised to ever multidimensionally from someone whether known or unknown or for that matter our illusive mindset with its mysterious egoistical tendencies pointing and appointing us to embark on the wrong directions/sets of choices? The point is that it is not about wait and see how far life will take you and what ride and one learns from the experience? NO, it is not necessary to get bitten by a snake to know that a snake’s bite can be poisonous, or trying to lift a boiling kettle with our bare hands since we will definitely scald our fingers/hands and splash the boiling hot water possible on our body/feet? bu why please? No its not making our imagination run wild or being ever sarcastic/skeptical but more about the absolute reality of our lives that when we least expect it, we are taken by some of the most unbelievable surprises and challenges if we let our guard down or become far too over confident or extremely careless…..
Its not about living in constant fear or expectations that something bad is going to happen or become over hyped and sensitive and symptomatic and having any syndrome resonation of oh here it comes? Stop all that aimless mind chattering and be absolutely realistic-since even at this moment or any moment, just put aside those distractions that are ever feeding your mind with negative sets of tendencies or over filling your mind that your mindful awareness is being overlooked altogether-for when something happens, to so many extents, whether from before or then or much before – something./somewhere is apparently entwined with certain sets of choices/decisions and preferentialities that related to your very ownself…… which means-become ever more self aware in such a manner that regardless of even the most simplest of aspects, ensure nothing ever trespasses or overtakes you in any bewildering or untoward manner simply because you were being far too elusive/reclusive since the price to pay for any of those unfortunate experiences is not a price or cost, but an enormous penalty or something that keeps on daunting an haunting….. which is why let go of the pretentiousness or saying that oh yeah….. or hmmmmmm i will see later? Because the sensitivities of some aspects of our lives never have that privilege of later at all please! Its not about being negative minded, but realistically speaking since we really cannot undo or unbe so many things that we were/did-so ever better awareness be and better awareness do-true please! Durge Devi Namostute, Shiva Shakti bhava, Hari Om Tat Sat, God bless. Cherish the uniqueness of your universality in all that you’re ever being-intending-fulfilling……..Durge Devi Namostute, Shiva Shakti bhava, Hari Om Tat Sat, God bless. With #AdamandEve it was the Fruit of the Proverbial #Tree Whereas with Gautama #Buddha it it Was the Essential Truth of our Essential Being’s Pure Immaculate Freed’om’ Enshrined Insight our Higher Consciousness Anat’om’y’s Amrita Manthan’s Pure Mindfulness Awareness’s Bhakti Sutra’s Bindu’s Ekagratta Chitta’s Param Anant Swabhava that Carves its Pristine Niche for Infinite Civilization’s Eminently Ab’soul’ute Virtuous Transcendenctiality’s Evolutionary Renaissance…………………. Attuning to/true/through-ought/insightfully “wit”h the infinite goodwill of our true nature’s ab’soul’ute cosmic graciousness/virtuousness/divine will’s precise evolutionary orientated uniqueness’s meritoriousness…………………………………….Durge Devi Namostute, Shiva Shakti bhava, Hari Om Tat Sat, God bless. How Are We Pre-serving/De-serving/Con-serving-Re-serving the Insightful Perception of the Essence of Certain “Ides=Integrated Development of our Evolutionary Sustenance” Such as/has i-thee-Here=Hear Versus/Along “Wit”h Theories Much has/as Thee Oar/Soar We-Soul We-Expanding & Raising Our Awareness Consciousness Fr’om’ Well Insight Our True Nature’s Ardent Perceptibility……. Let us earnestly strive to/true cherish the essence of our pure divine consciousness’s universality which enc’om’passes the beej tattvah/the seed element-the pristine embryonic consciousness of our ab’soul’ute true nature’s oneness of being/intending/fulfilling ever sow pure divine authentically, benevolently, c’om’passionately, creatively, devotionally, determinably, diligently, efficaciously, essentially, faithfully, genuinely, good willingly, gratuitously, intelligently, legitimately, meritoriously, moral principles/values/virtues and likewise characteristics-disciplines orientatedly; well disciplined self awareness orderly; radiantly, responsibly, satisfactorily, sincerely, sensibly, tenaciously, vigilantly, virtuously, wisely and note worthily………≡Shiva Shakti Anant≡Shakti Shiva Anantaa≡Durge Devi Namostute, Shiva Shakti bhava, Hari Om Tat Sat, God bless.